Sebastian Matthews is the author of two books of poetry, Miracle Day (Red Hen Press, 2012) and We Generous (Red Hen Press, 2007). He is the author of one memoir, In My Father’s Footsteps (W.W. Norton & Co., 2004). 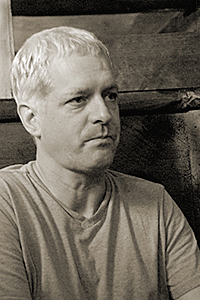 Matthews’s work has appeared in Forklift, Ohio; Asheville Poetry Review; and A Face to Meet the Faces: An Anthology of Contemporary Persona Poetry (The University of Akron Press, 2012). His work has been featured on National Public Radio’s The Writer’s Almanac. He teaches undergraduate creative writing at Warren Wilson College and serves on the faculties at The Great Smokies Writing Program at University of North Carolina Asheville and the Low-Residency MFA program at Queens University of Charlotte.